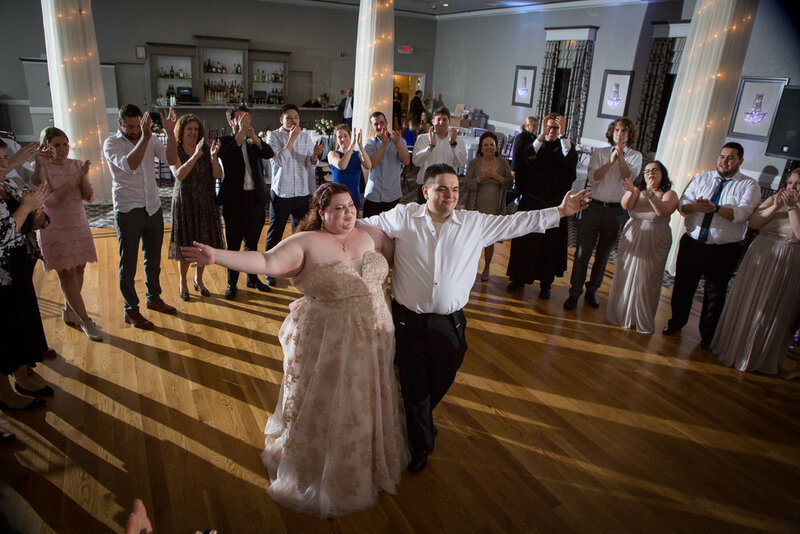 Colleen and Matt met on OkCupid. When they matched, Matt asked Colleen to meet him for a drink at a bar downtown. They share a love for science fiction television and Matt was aghast that Colleen had not watched the Joss Whedon classic "Firefly." He said that for their second date, he would make sure she watched at least one episode and the rest is history. In March of 2017, the couple packed up for a mini road trip to the Madame Sherri Forest in Chesterfield, N.H. to see the castle ruins and take their dog, Merry, for a little adventure. They spent the two hour drive talking and laughing, even with a harrowing drive down a steep and narrow dirt road. When they arrived safely, they took Merry for a walk on the trail and meandered around the ruins. Colleen sat down on a little bench tucked under one of the old stone staircases and when she looked up, Matt was on one knee with an absolutely beautiful ring in his hand. "I was completely stunned and very emotional," said Colleen. "Merry was too, but I think this was mostly because she thought the ring was edible." After the initial shock wore off, Colleen joyfully said "Yes!" 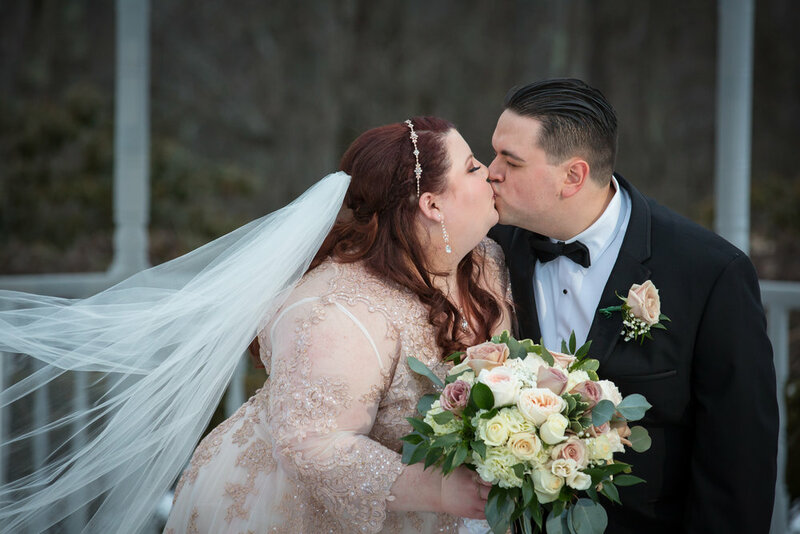 A year later, on the fourth anniversary of their first date, March 24th, 2018, Colleen and Matt joined their lives together at Raffael's Banquet Hall in Walpole, Mass. 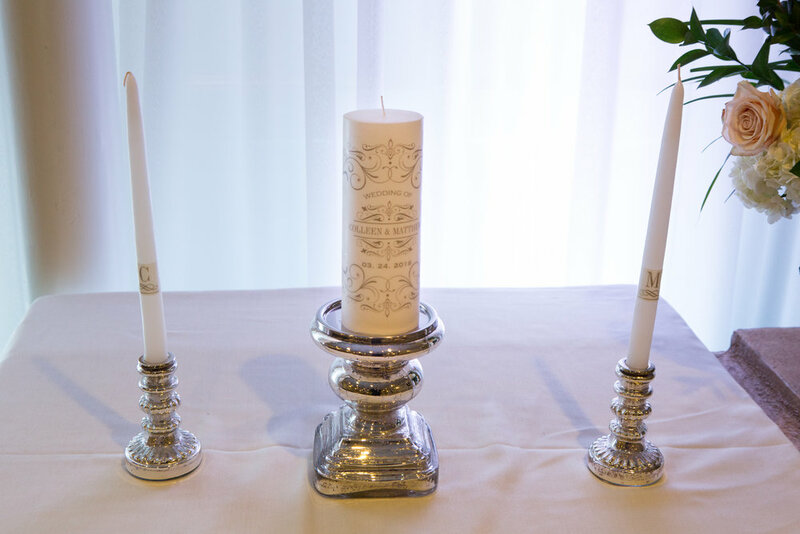 It was the very first venue that they toured and Colleen fell in love with the classic elegance of the venue. She also appreciated the fact that it had three separate and distinctive spaces for ceremony, cocktail hour, and reception. 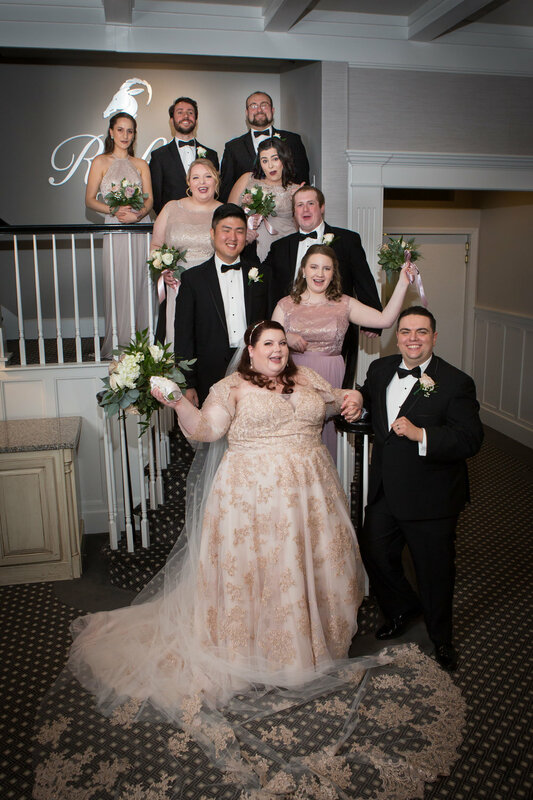 Plus, with a generous budget of $28,000 the couple knew that their wedding would be everything that they hoped it would be. 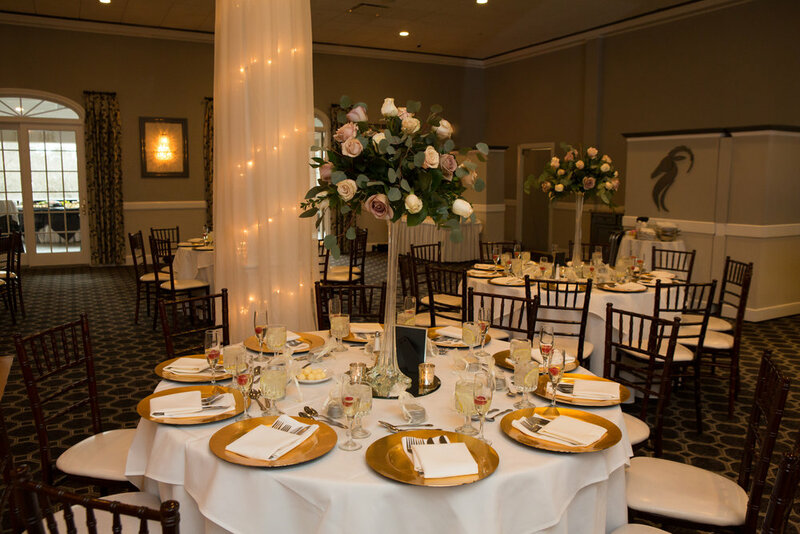 Colleen did not want to set a specific theme, but she did want everything to look romantic with a very "vintage-inspired" feel. 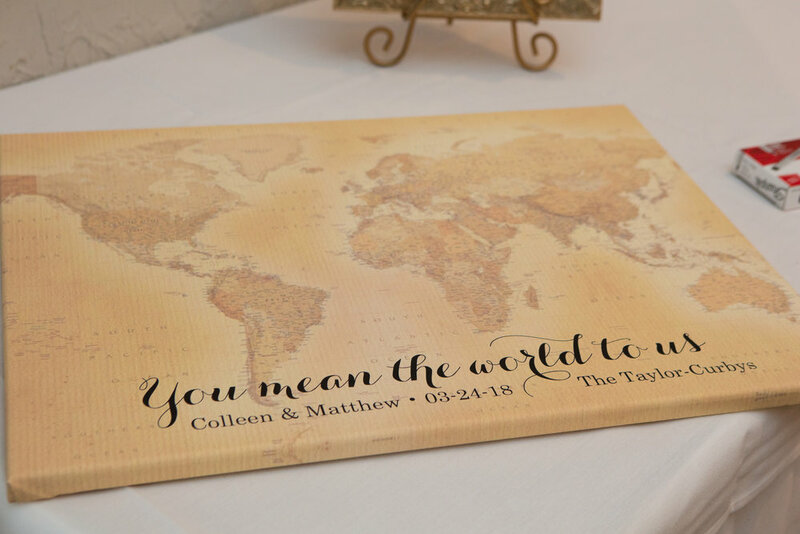 Colleen and Matt both like to travel, so they incorporated that into their guestbook map canvas and their cake. 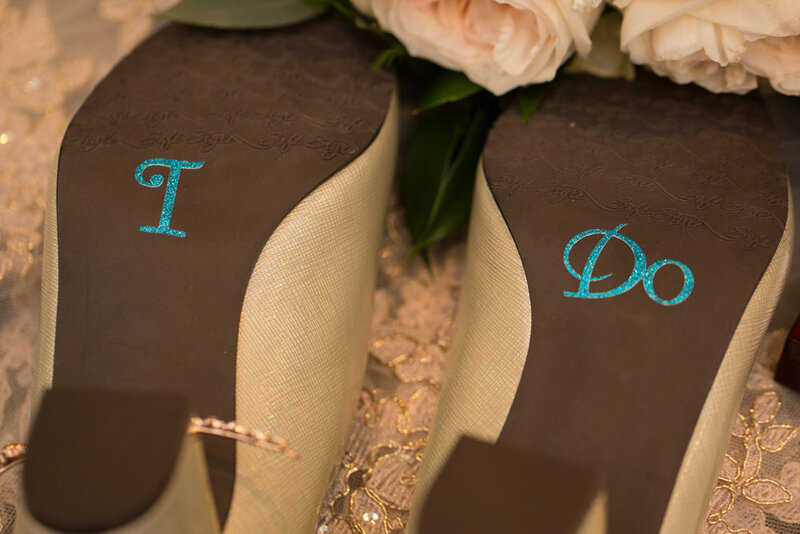 They wrote their own vows to each other to make their ceremony more personal and intimate. For the flowers, Colleen knew that she had to have her favorite quicksand roses. "My florist did such an amazing job bringing my floral vision to life," said Colleen. 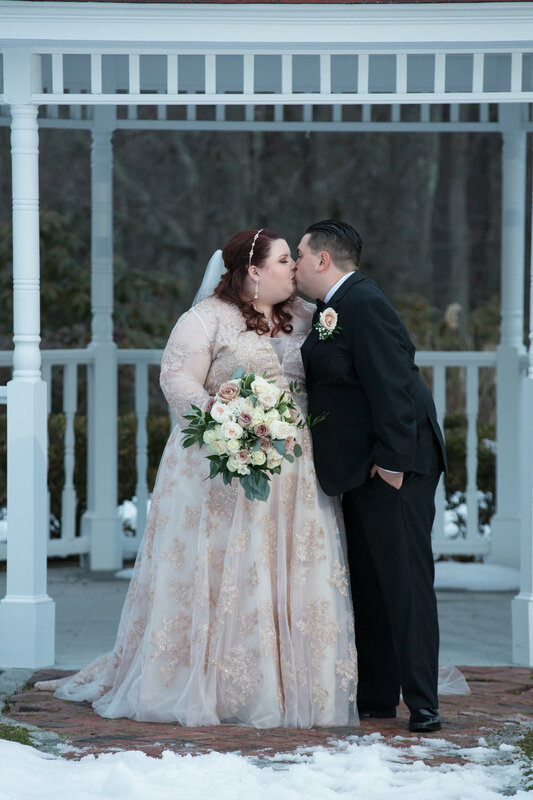 "She was the one who suggested the champagne blush roses (quicksand and sahara) to match my dress and they were such a great choice." They scattered a few amnesia roses throughout all of the bouquets and centerpieces as well and the dusty mauve color was a great accent. Colleen used a piece of lace from her mother's wedding dress to wrap her bouquet. 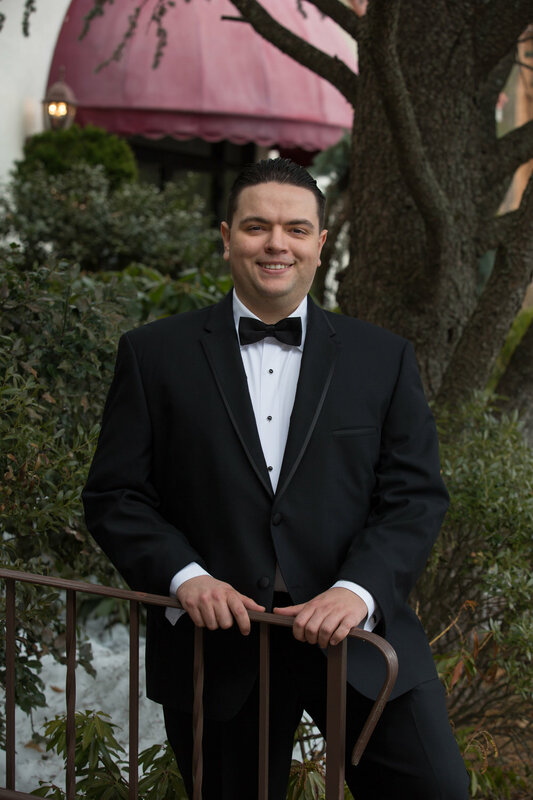 The couple's biggest hope was for all of their guests to have a great time. "I think the full open bar was the item most commented on by everyone as something awesome they were not expecting," said Colleen. 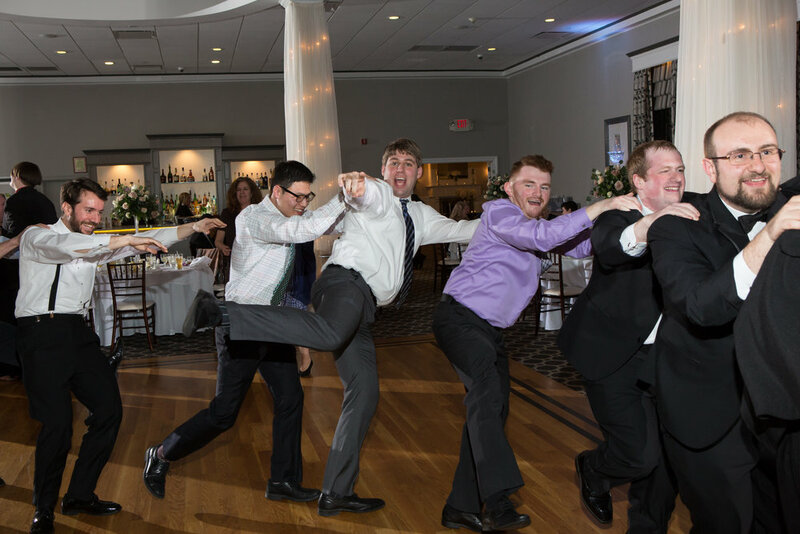 Colleen and Matt wanted their wedding to be a fun party and it really was. The music was perfect and the dance floor was packed the whole night. A huge conga line/party train even made an appearance a few times during the night, led by my Matt's college roommate, who also did one of the readings during the ceremony. Even with a large guest list of 144, the Colleen and Matt still found the time to take moments just for themselves. Prior to leaving for the venue, Colleen texted Matt a picture of their dog with a sign that said "My Humans are Getting Married," which he thought was very touching. 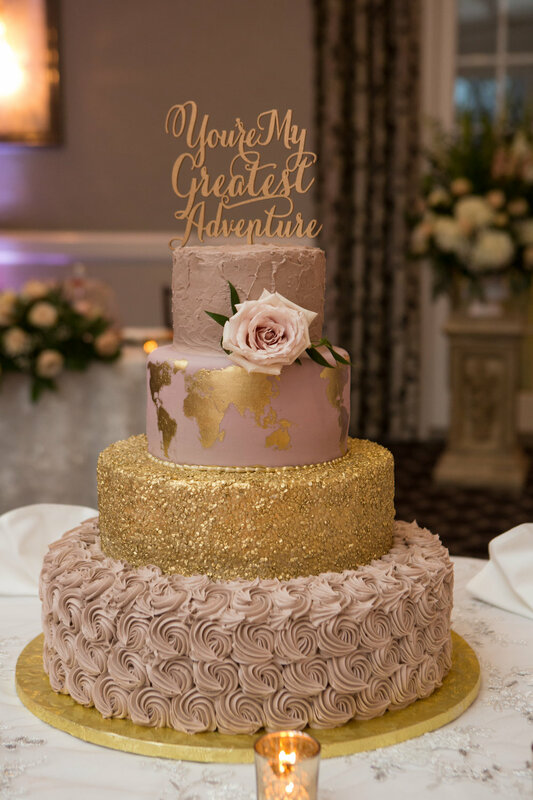 The couple and their families wanted to make sure to find a way to make sure all of their guests felt involved and appreciated during their day. Matt had friends visiting from Ireland so Colleen's dad started off his welcome speech by saying "Dilly dilly to my new friends from across the pond," which everyone thought was pretty hilarious. Matt said that his favorite part of the day was seeing how many people cared about them and took the time to see them get married. Colleen found that the biggest challenge was managing expectations. 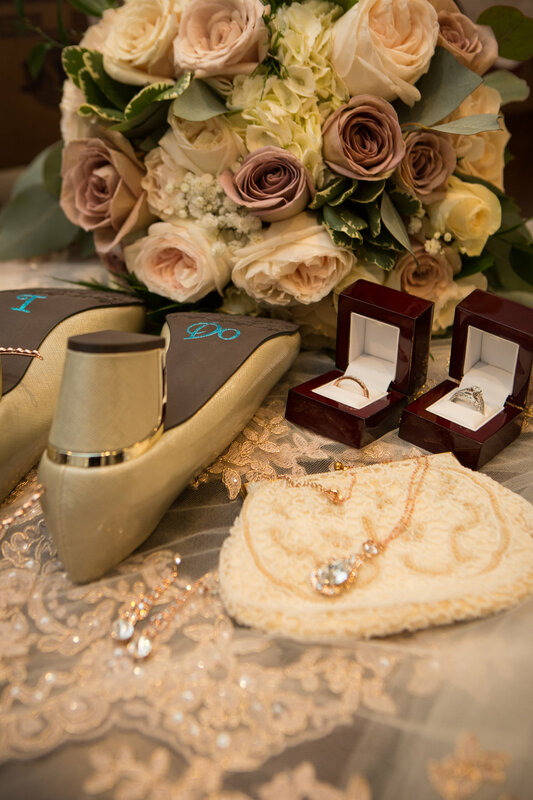 "Everyone has any opinion once you start planning a wedding," explained Colleen. "It can be difficult to not be swayed by everyone else's opinion and remain true to your own vision." 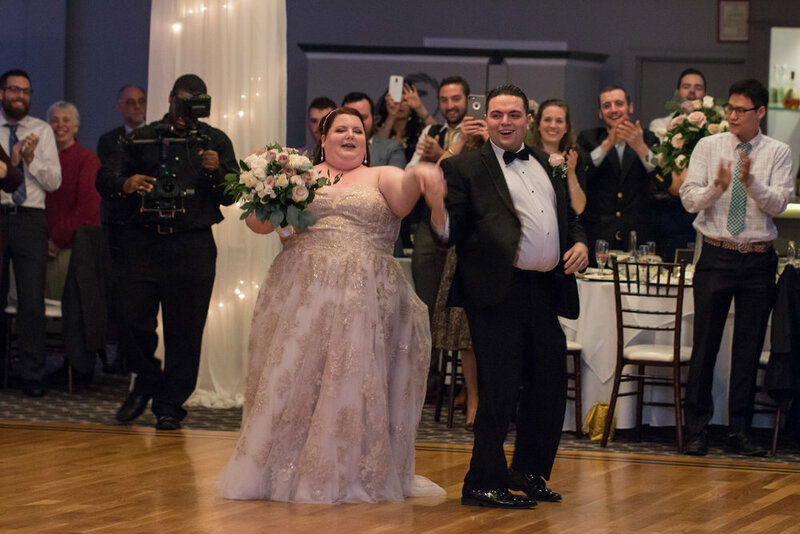 Colleen's biggest advice to other members of the Big Bride Club is to not let your fears get in the way of having the best day possible. 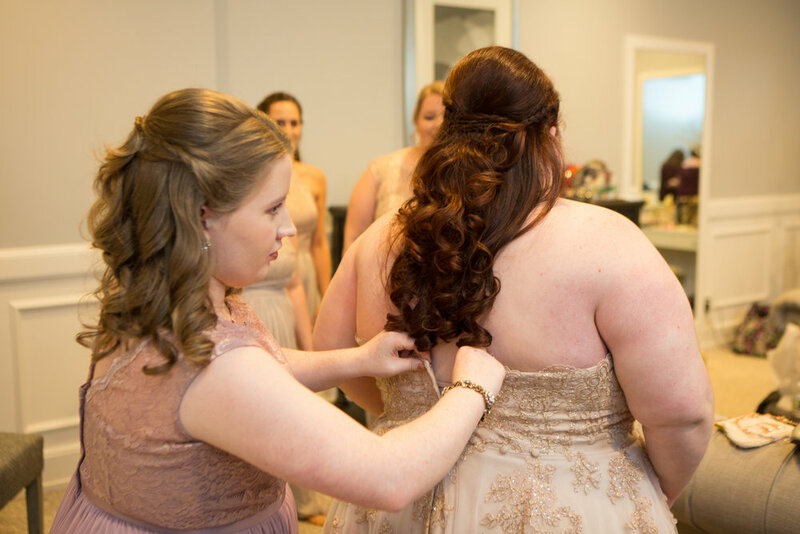 "We all have insecurities (even non-plus size brides), but I promise you that on your wedding day, you won't be thinking about them at all. Everyone will be there to witness you and your partner make a public vow of your love for each other and the feelings that result from that will overwhelm any critical internal thoughts. 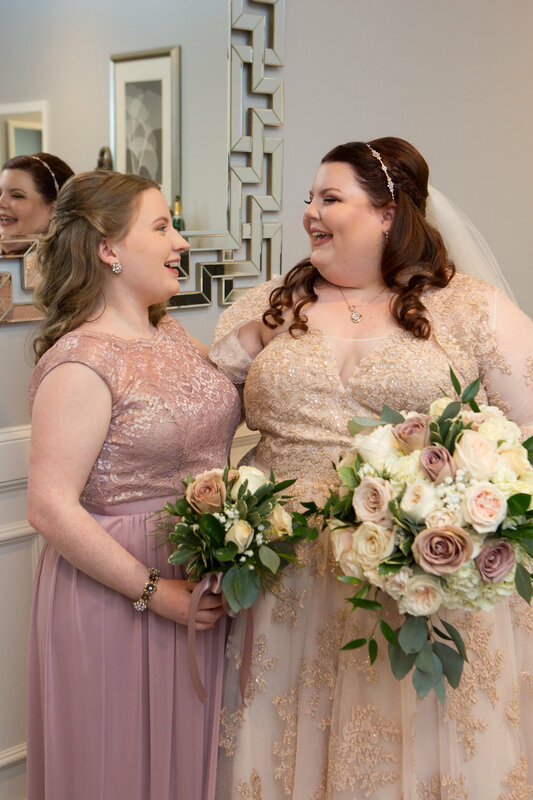 I would advise to look at images of other plus-size brides for inspiration and do not be afraid to try on many different styles of dress and speak with your photographer to achieve the best look for you!"